I began my journey in the child care Industry in March 1990. 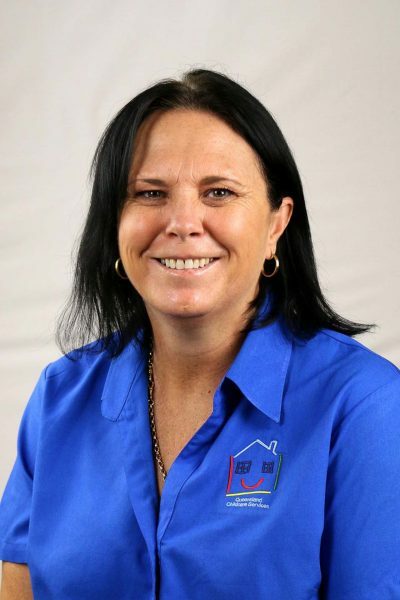 Through study and years of experience, I have been able to work my way up to become the Nominated Supervisor at Lowood Early Education Centre and Pre-School. I hold an Advanced Diploma of Children’s services, current First Aid, CPR Certificate, Asthma and Anaphylaxis management training and Blue Card. I first began my journey with QCCS at Busy Learners Early Education Centre in Inala as the Assistant Director in April 2014. From August 2014, I stepped into the position as Acting Director. In December 2015 I was given the opportunity to transfer to Lowood Early Learning Centre to take on the position of Director/ Nominated Supervisor. So from the 4th of January 2016, I began my new journey as Director at Lowood. I love coming to work knowing that my team and I have made a difference in each child’s life, by extending on their knowledge, skills and abilities. Learning through play has always been my belief as a early childhood educator. It is very rewarding and satisfying to see the children develop and grow whilst in our care. I love the fact that I am able to communicate and interact with my families on a daily basis and support them in any way I can. Why should families choose Lowood Early Education Centre? Families should choose Lowood Early Education Centre and Pre-school because we are a high quality centre with dedicated staff that cares about each child’s education and care. 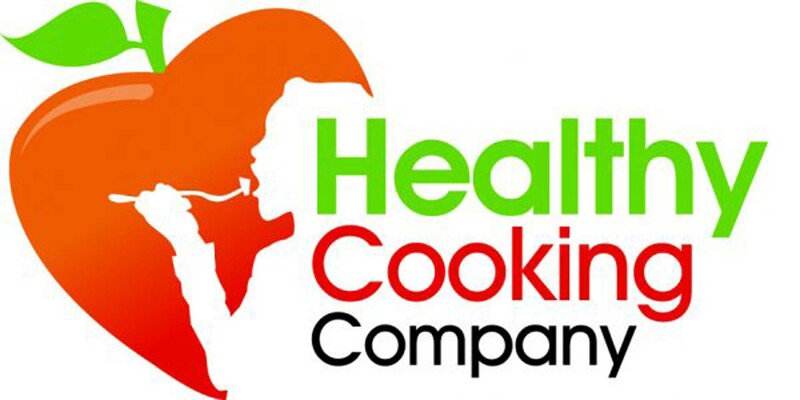 As we value each child’s health and well being, we provide three healthy meals a day from our Healthy Cooking Company and also provide a physical education program that is implemented not only by our team of educators, but also by a highly qualified personal trainer. At Lowood we have an open door policy where we encourage all of our new families to come in and spend some time in their child’s room, where they are able to get to know their child’s educators and routines. We strive on having open and honest communication with our families to ensure consistency between their home and the centre. Having a centre courtesy bus enables our centre to support the families in our community that do not have their own mode of transportation. We are a one stop centre, providing before and after school care, plus vacation care during the school holidays. What more could you ask for!!! Come in and meet the team at Lowood. We look forward to seeing you! I choose to work for QCCS because QCCS chose me! As a Leader I believe in the company’s philosophy, goals and values. As a leader I also am committed to the advocacy of families and children. QCCS is very passionate about each child’s health and well-being and together with the implementation of physical activity programmes and healthy nutritious food (which is supplied by our very own Healthy Cooking Company), they believe that they are giving each child the best possible start in their early years. QCCS also contributes to each employee’s ongoing professional development through mentoring, in service training, professional courses and seminars for all their employees. QCCS has a supportive management team that is there to support me and all employees of the company, they value each centre and employee. I would not have grown to be the leader that I am today without all the support and mentoring that I receive from such a fantastic company. Welcome to Lowood Early Education Centre and Preschool. Our operating hours are 6:15am to 6:15pm and we care for children from new-born to 14 years of age. We are open 52 weeks a year and only close on public holidays. A free pick up/drop off service to/from the Patrick Estate, Lowood and Fernvale State Schools is also available. We have been rated as an exceeding centre by the Australian Children’s Education & Care Quality Authority (ACECQA)! At Lowood Early Education Centre & Preschool we provide our children with experiences that give each child the opportunity to explore music and movement, language, science and art, to name a few. Our programs are lead by the children’s interests with opportunities for them to interact with nature and the world around them. All educators are proactive in helping children build on their strengths and skills and we work together with each family to achieve individual milestones. Lowood Early education centre & preschool recognises that families are the foundation in children’s growth and development. Our educators develop positive relationships with families based on mutual trust and a high level of open communication. We are within walking distance to the main streets of Lowood and care for children from new-born through to school age with dynamic before and after school care and vacation care programs. Our centre boasts friendly and energetic staff who have developed warm and caring relationships with all the children and families in our care. All staff are qualified or studying in the early childhood profession. All staff hold a current first aid certificate. All new employees of QCCS attend an Induction session prior to commencing at any of our child care centres. This ensures they will be well equipped to step into their new role. In addition, we provide regular professional development opportunities, monthly centre Directors meetings and Quarterly Assistant Directors meetings to ensure that all of our staff are up to date with industry developments. Our centre also boasts a second language program (German), we are proud participants in the Early Learning Languages Australia (ELLA) initiative. ELLA is an Australian Government initiative aimed at reviving the teaching of foreign languages in Australian schools, with the aim of significantly increasing the number of Year 12 students studying a language other than English within a decade. The programs we offer are child based and cater for your child’s individual skills and abilities, as well as promoting a family friendly environment where children can feel safe and loved. This includes multicultural activities which enhance the children’s understanding of traditions, music, language, dance and celebrations of a wide variety of different cultures. We also offer a Perceptual Motor Program (PMP) which fosters the children’s self esteem, hand eye co-ordination, gross motor and co-operation skills. My wife and I have our son here five days a week, all three of us love the facility and staff. The carers all seem to love their jobs and we feel like they treat everyone like family. The meals provided to the kids are pretty amazing and a lot of effort goes into making sure they are fed appropriate healthy foods. Our boy has been enrolled from four months old and seeing how his carers and fellow children interact we really hope to keep him here until he eventually heads to school. For any new/old parents looking to find somewhere for their little one we really can’t recommend this place enough! Price: very reasonable Food: puts our home cooked stuff to shame Environment: loads of fun Child educators: consistently impressive. My daughter has been going to this centre since she was 7 months old, she is now 4 and she absolutely loves this daycare!! We travel from Gatton 2 days a week for her to attend at Lowood. We both love the staff and the quality of care. I couldn’t recommend this centre enough. Two of my daughters went to kindy here for over a year until we moved out of the area. My daughters absolutely loved going there. The director and staff were always friendly and loving towards my children, as a qualified child care worker myself I’ve learnt that if the kids are happy then the centre staff are doing a great job. I would highly recommend this centre for your children. My girls absolutely love going to kindy never had any issues with them not wanting to go. The staff are always friendly and happy to have a chat. The centre is always clean tidy, the director is lovely and helps out her staff when needed. I would highly recommend this centre to anyone looking for care of their children. We love Lowood. Our daughter loves coming to childcare, we are greeted by friendly educators as we enter the centre. The rooms are colourful with lots of activities to challenge her. She loves the Veggie Fun Program being able to explore different foods. “I am honoured to be able to leave a testimonial for the amazing team at my daughter’s centre. The team at Lowood Early Education Centre and preschool provide a caring and nurturing environment not only for my daughter but our entire family. I have been able to put my trust in the team to be sensitive her needs and know that she will receive the very best in care, positive health and nutrition education and lunch/snack menu’s, and an engaging curriculum. The team have also provide information on a very regular basis not only about my daughter about the community and events that we could get involved in while always encouraging more integration between families and the centre. I love receiving her daily updates as I very rarely have to opportunity to pick her up from the centre myself these give me the perfect insight to her day and what she is learning about. I love the new layout allowing me to receive a photo of her throughout each day as well. For my son, their was no other place I wanted to take him. I went here at his age and so did my brother. This centre has remained one of the best in the area and my son has thrived since enrolling. Since being at Lowood Early Education Centre, my son has learnt more about playing with other children, has learnt a lot more words and has picked up great mannerisms on his own. His little personality has just blossomed and the amazing ladies there have helped encourage that.